Daniel Drew is a good example of why the general public came to despise many railroad tycoons for their ruthless nature. He also a good example of how speculating on railroads during the 19th century could make one just as poor and bankrupt as it could wealthy. Drew was not a successful railroad manager like James Hill or Edward Harriman and made his money by mostly speculating on stocks and is perhaps most famous for being involved with Cornelius Vanderbilt for control of the Erie Railroad (during the famed "Erie War"). Once a successful business owner and multimillionaire he was betrayed by Jay Gould and Jim Fisk after all three had won control of the Erie from Vanderbilt. Losing millions he later lost even more money in the financial panic of 1873 and died rather poor. Drew was born in Carmel, New York on July 29, 1797 the son of a farmer. Drew was never well educated, so much so that he was nearly illiterate for his entire life. He intended to work for his father. However, his Dad passed away when he was only 15 and after a short stint in the War of 1812 he decided to go into the cattle driving business and later became quite successful as a cattle buyer and seller. After this career he entered the steamboat business and also became quite successful. 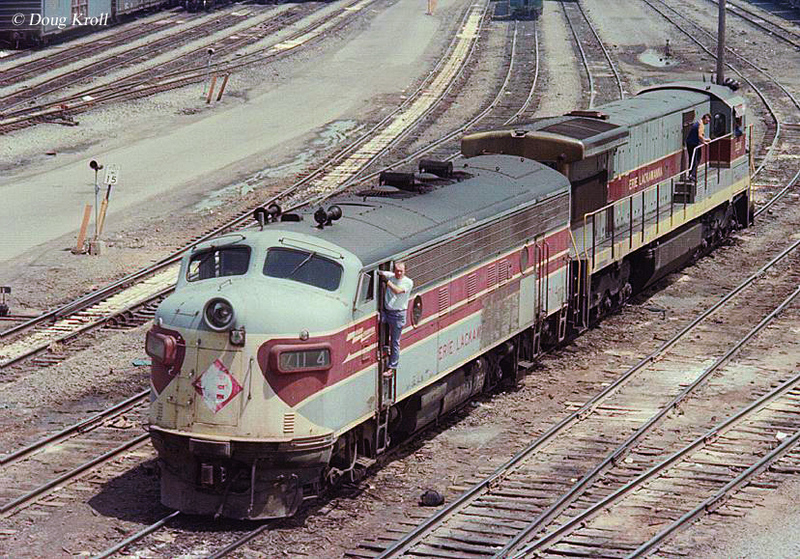 Primarily working the Hudson River (although he would expand his business to Lake Champlain) and competing with Cornelius Vanderbilt he undercut the "Commodore" as much as possible, often severely driving down the price of fare but successfully luring passengers to his boats. The Erie Railroad, "Serving The Heart Of Industrial America"
Jim Fisk, Speculator Involved In The "Erie War"
In 1844 he tried to make it big on Wall Street starting his own brokerage firm Drew, Robinson & Company. While fairly successful Drew became notorious as a shrewd stock manipulator and was not well liked by many on Wall Street. His firm operated until 1853 when he became involved with the Erie Railroad and forced his way in as director by 1857 after the financial panic that occurred that year. 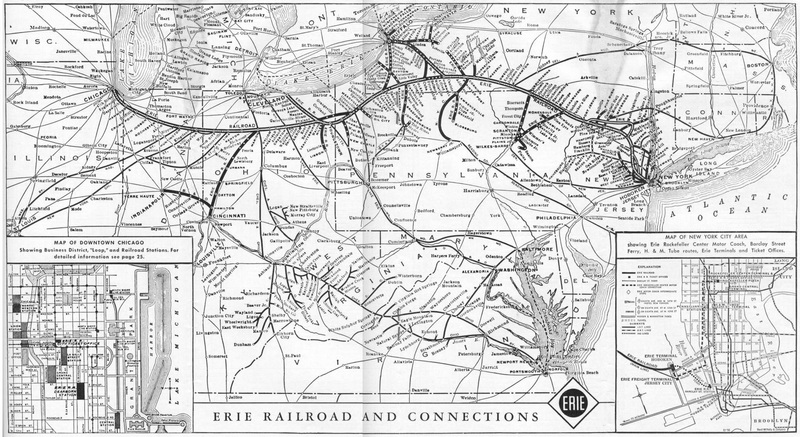 The Erie Railroad had its beginnings dating all of the way back to 1832, just five years after the Baltimore & Ohio was chartered, when it was organized that year by the Governor of New York, De Witt Clinton as the New York & Erie Railroad to build a rail line in the southern part of the state linking Piermont, New York with Dunkirk on Lake Erie. It was finally able to complete this main line by 1851. 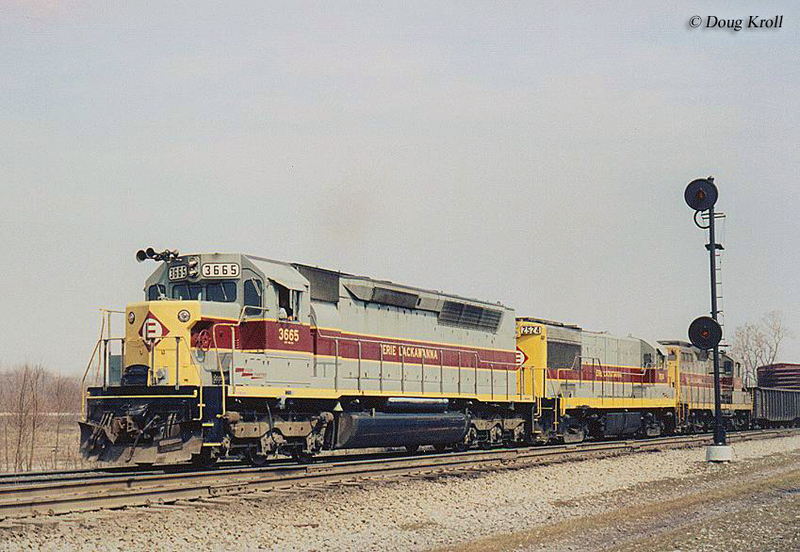 Over the years it acquired, leased, or built new lines and by the late 19th century it had reached points such as Buffalo, Rochester, Chicago, Cincinnati, and Indianapolis. As head of the Erie at the time Drew earned a substantial profit by speculating on and manipulating the company's stock. Between 1866 and 1868 he partnered with Jay Gould and James Fisk to prevent Cornelius Vanderbilt from taking control of the Erie. 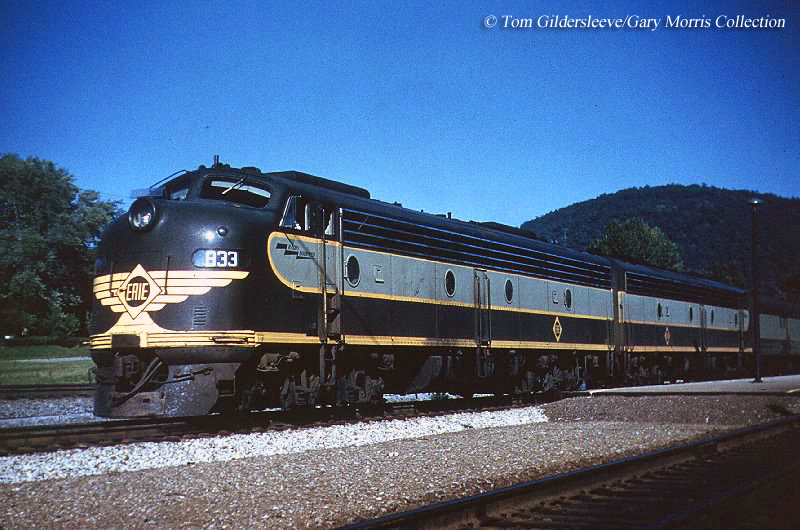 During this time the Erie Railroad was one of the most successful systems in the country and what essentially started as an argument between the Vanderbilt and Gould turned into a battle of wills as Vanderbilt attempted to corner Erie's stock. In response, Gould and his associates attempted to artificially inflate the Erie's stock value (also known as "watered stock"), which is fraud and against the law. However, Gould only defeated Vanderbilt by bribing the New York state legislature, which allowed the stock to be legalized. Daniel Drew's victory was short lived, however. 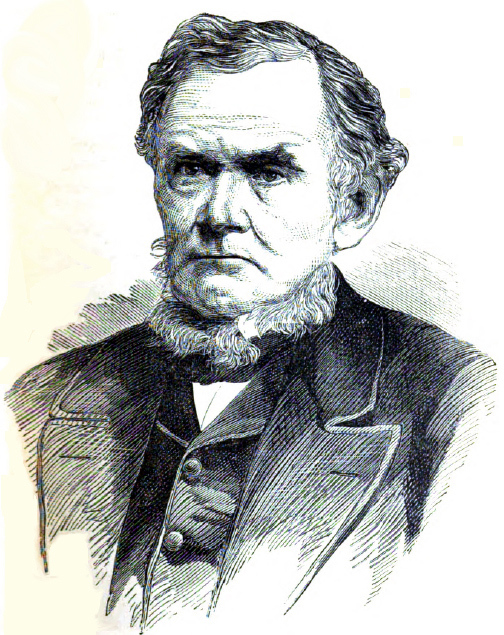 After the "Erie War" Gould essentially controlled the railroad and forced Drew out as director. Then, he was betrayed by Gould and Fisk losing $1.5 million when he sold the railroad's stock short while his associates had sold its stock in England to drive up the price. The timing of this incident essentially ruined Drew. Three years later the financial panic of 1873 occurred and forced him into bankruptcy with no significant assets or means of income he was destitute. Drew had few supporters or sympathizers, however, for his financial troubles given his shady practice of speculating on and manipulating of stocks. As a result he had little places to turn for help within the industry. Drew pasted away in September of 1879, almost entirely dependent on financial assistance from his family during his final years. Despite his poor business reputation, Drew did consider himself a devote Methodist and gave hundreds of thousands of dollars to the church, most notably giving $250,000 to found the Drew Theological Seminary.